Car insurance is not an expense that most people think of until the bill creeps up to an unacceptable amount. Below are seven reasons to visit MOVE Bank for car insurance shopping and find the best deals available. Not only will MOVE Bank work to find you the most competitive rates in the insurance field, you are offered the convenience of paying one annual amount, or monthly. You can visit move bank for car insurance quotes that will fit your budget. An insurance expert will sit down with you and make sure you get all of the coverage you need to protect your car and finances. 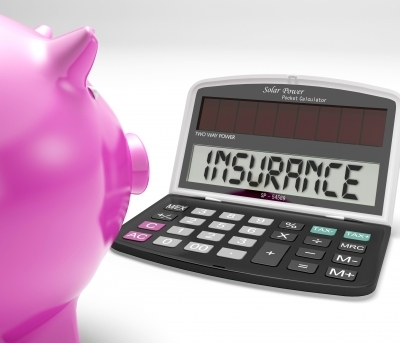 It is important to ensure you are carrying enough coverage to protect yourself from lawsuits and liability issues. Never having to file a claim as a good and safe driver can earn you a handsome bonus. Insurance providers love to show appreciation for those that rarely have any accidents. You can earn as much as a 60 percent bonus. It is worth stopping by and getting a no-obligation quote. It provides monthly savings for you all year long. If you are the nominated driver and use the car very little, you can save on your insurance coverage. It’s understood that if you spend far less time in your car than other drivers, you don’t have to carry as much of the financial burden. If you feel your current car insurance plan cost is out of alignment with your routine use, stop in and see if MOVE Bank can get you a better price. Pulling a house trailer for holiday, boat trailer, or hauling items from one place to another, you want to feel confident that it is covered on your car insurance. Accidents happen when least expected, which includes during relaxing holidays. Take the worry out of your trips that involve hauling and towing with a quality insurance plan brought to you by MOVE Bank. Beyond the great feeling of saving money you can visit MOVE Bank for car insurance that includes a few added benefits. You can get a 14-day car hire to cover times of no vehicle access due to theft or loss. A broken window screen is no problem with replacement coverage. You can also count on the benefits of new car replacement. MOVE Bank members have access to an iPhone app through CGU Insurance that simplifies the claims process. It can also speed your claim along. All you have to do is download the app from Apple Store free of charge after signing up for your new car insurance through MOVE. It allows for less delay from the time of an accident to filing the claim. The app works with any Apple smart device. Even though your car insurance is an important consideration, you still don’t want to pay more than necessary. It’s time to get a new quote if you have not looked for a better deal in a while. MOVE Bank is ready to find the best price and service possible.